Location, having more or less everyhting already there, very clean room. Generally quiet, shops and restaurants very close, good breakfast in sufficient quantity. Self contained room, Every thing that you would need at home was there. In the middle of a quiet village, supermaket close by. Accueil chalereux, studio calme et très propre, la mise à disposition de la machine à laver, du sèche-linge, de l'aspirateur est vraiment appréciable. Notre hôtesse est charmante et sympathique et établit des rapports de confiance avec ses hôtes. Super séjour. lit très confortable, studio spacieux, environnement calme, terrasse agréable. Lock in a great price for Les Agîtés – rated 9.4 by recent guests! Les Agîtés is set in Bain-de-Bretagne, 19 mi from Rennes. Vitré is 29 mi from the property. Free WiFi is available throughout the property. 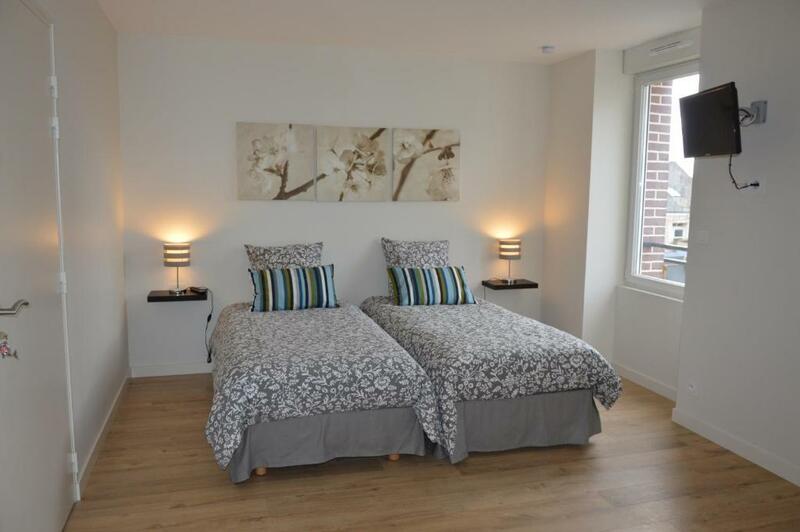 All units include a kitchen and a dining area and some offer a private terrace. The units also feature a flat-screen TV. A microwave, toaster and fridge are provided, as well as a kettle. Some units also have a kitchen, equipped with a stovetop. Towels are provided. The area is popular for cycling and hiking. Redon is 22 mi from Les Agîtés. Rennes Airport is 16 mi away. 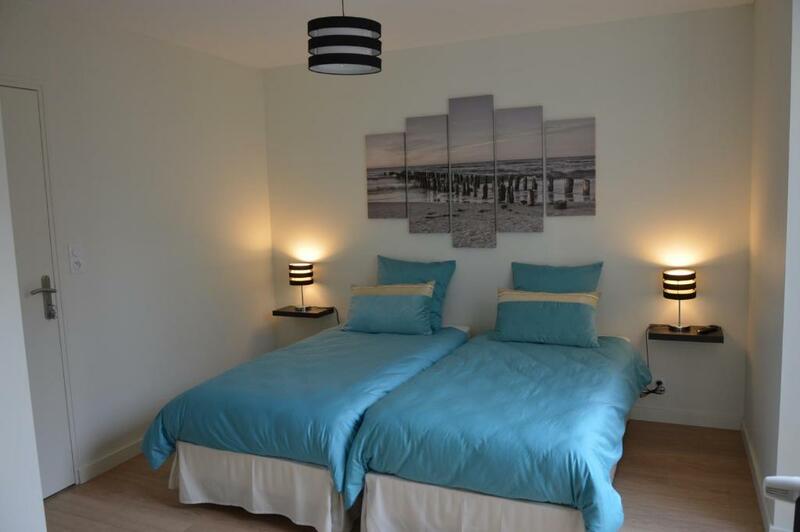 This property also has one of the top-rated locations in Bain-de-Bretagne! Guests are happier about it compared to other properties in the area. 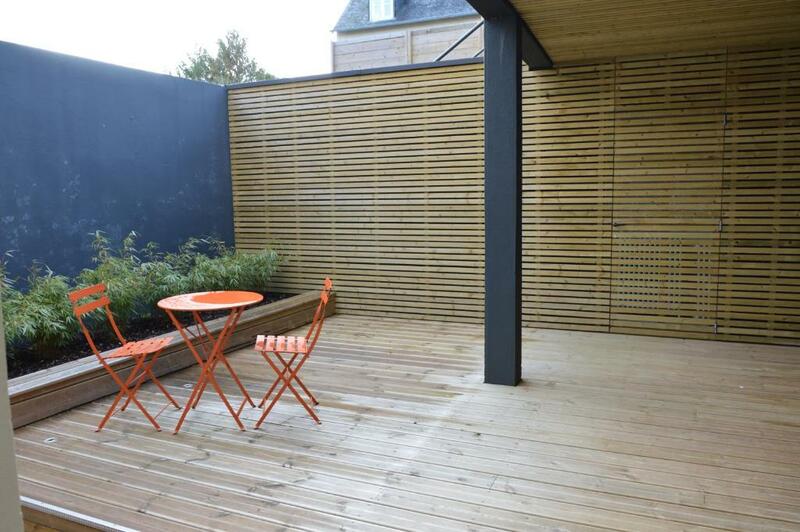 This property is also rated for the best value in Bain-de-Bretagne! Guests are getting more for their money when compared to other properties in this city. 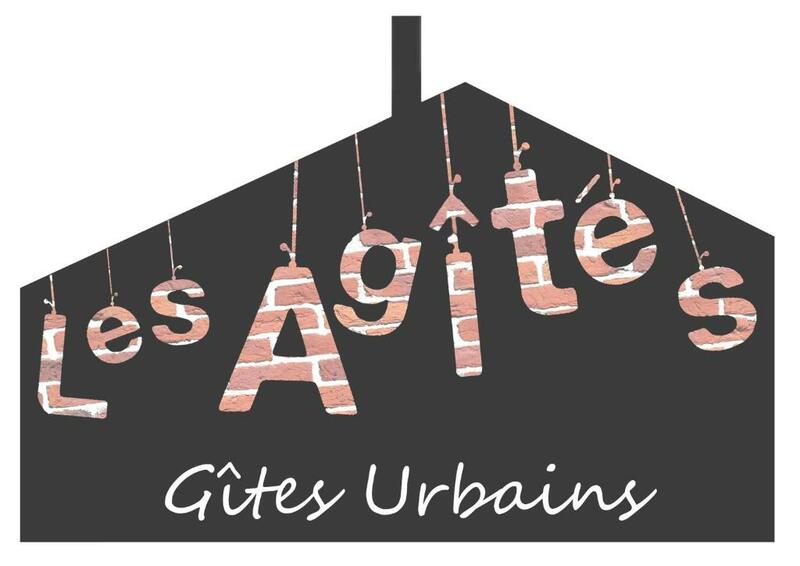 When would you like to stay at Les Agîtés? 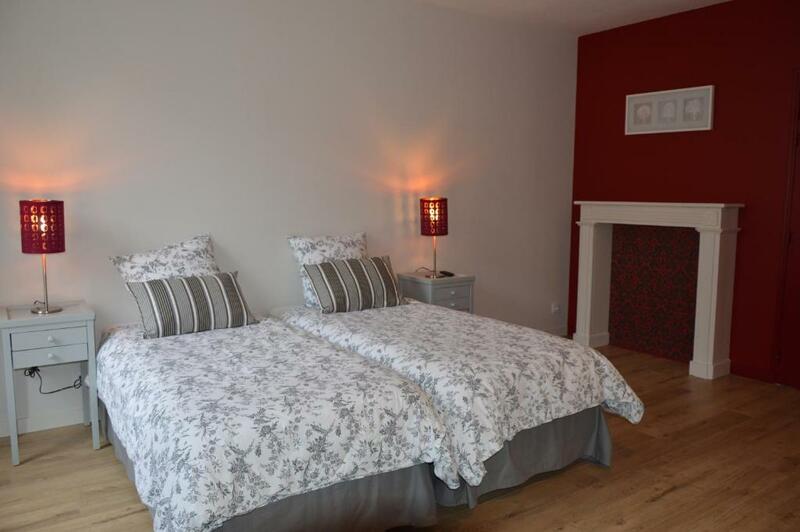 Located on the ground floor by the garden, this studio is adapted for guests with reduced mobility. The private terrace is partially covered and the kitchenette is entirely equipped. This studio located on the 1st floor, faces the street and features an entirely equipped kitchenette. There is also a private bathroom with a shower. 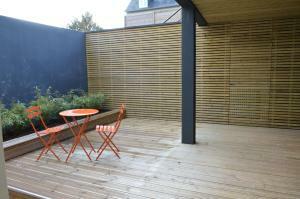 Located on the first floor, this studio features a private terrace by the garden. The kitchen is fully equipped. 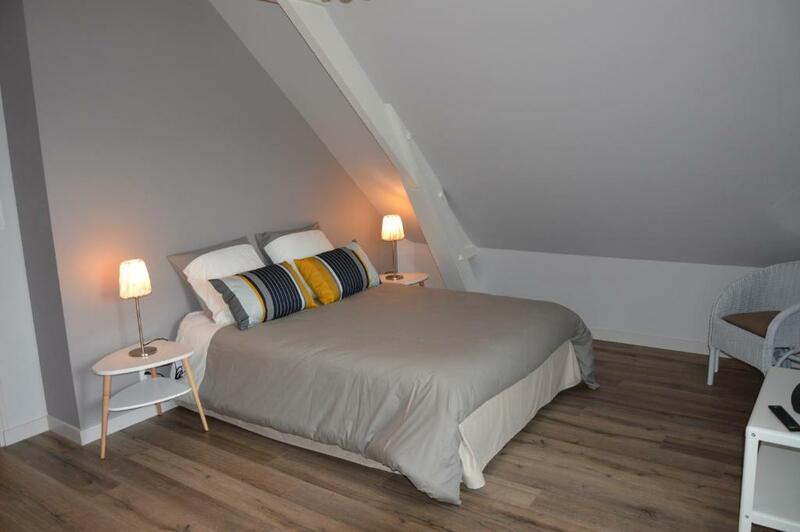 Set in the attic, this apartment is composed of one double bedroom, a bathroom with a shower and separate toilet. 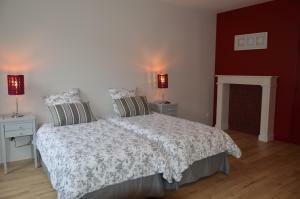 There is also a living area with a fully equipped kitchen and sofa bed. We have created 4 apartments with similar equipments as in our B&B. We have chosen a simple but cosy decoration in order for our guests to feel good. Breakfasts kits can be proposed and must be ordered in advance. Breakfasts kits will be placed in your apartment on your arrival. 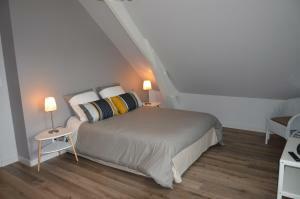 Already B&B owner in Pléchâtel (Britanny) for 10 years, I especially like to welcome people from all around the world. Located between Nantes and Rennes, Bain-de-Bretagne is a small dynamic city with an economical and cultural life. With its cinema, restaurants, lake, you will enjoy your stay. House Rules Les Agîtés takes special requests – add in the next step! Please inform Les Agîtés of your expected arrival time in advance. You can use the Special Requests box when booking, or contact the property directly using the contact details in your confirmation.